BALMER WILCOCK in TYLDESLEY offer for sale this immaculately presented five bedroom detached. Occupying an envious cul-de-sac location, properties on this row rarely come up for sale, close to local schools and transport links, EARLY VIEWING is recommended. 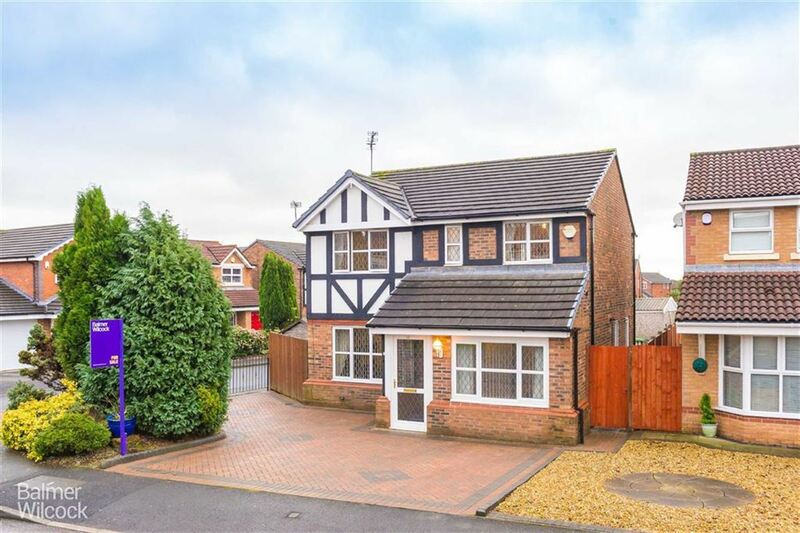 Accommodation comprises, entrance hallway, study, downstairs w/c, utility room, modern kitchen with range of appliances, sitting room, dining room and family room/conservatory. To the first floor are three double bedrooms, master with en suite, bedrooms four and five and a family bathroom. Externally to the front is a large driveway and a well maintained private rear garden competes this stunning family home.